The District is pleased to be able to serve its customers with a supply of pure and safe water while providing dependable wastewater and storm water services. Water supply quantities are regulated by the St. Johns Water Management District (Lake County) and Southwest Florida Water Management District (Sumter and Marion County) which have issued consumptive use permits to the four utility companies serving the residents of The Villages. 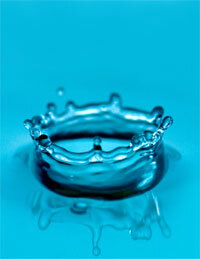 Water and wastewater treatment and distribution are regulated by the Florida Department of Environmental Protection. Village Center Service Area (Lake County and District 1 in Sumter County) is owned by Village Center Community Development District. Little Sumter Service Area (District 2, 3 in Sumter County and District 4 in Marion County) is owned by Village Center Community Development District. North Sumter County Utility Dependent District (District 5, 6, 7, 8 and a part of District 9 in Sumter County) is owned by North Sumter County Utility Dependent District. VCCDD Utilities Department is responsible for the operations and management of the water and wastewater treatment systems. The VCCDD Finance Department is responsible for the billing and collection of payment for those services. E-Billing is now available for your monthly water, sewer, trash and amenity bill! By signing up for E-Bill, we will no longer send you a monthly paper statement. All of the information pertaining to your monthly bill will be emailed to the email address you provide. If you would like to utilize this new billing feature, please enter your information below and click on Sign Up. After signing up, a confirmation email will be sent to you within 7 business days. Depending on your individual billing cycle, you may also receive a paper bill the first month. To sign up for E-Billing, please click on the link below. If you are unable to find the information you are seeking or have specific questions, you have several options available to you. You can use the “Billing Account Inquiry” link below and enter information regarding your property. This will enable you to review your account history, usage, payments and billing. You also have the option of calling 352-750-0000 or submitting an inquiry or concern by clicking the link found on the front page of the District website, www.districtgov.org. Please review the following information before making an online payment or viewing your account balance. As a convenience to our customers, we offer the option of an on-line payment service using credit/debit cards or electronic check, through a third party vendor, Point & Pay. Little Sumter Service Area, Village Center Service Area, North Sumter County Utility Dependent District, and Central Sumter Utility have the option of using MasterCard, Discover, American Express, Visa, or electronic check. In order to use the credit/debit card option, you must agree to a 2.30% processing fee, or a minimum of $2.00, whichever is greater. The Village Center Community Development District does not collect, receive or retain any portion of this fee. It is strictly charged by Point & Pay in order to provide this convenient service to you. In order to use the electronic check option, you must agree to a $1.00 processing fee. The Village Center Community Development District does not collect, receive or retain any portion of this fee. It is strictly charged by Point & Pay in order to provide this convenient service to you. If you wish to proceed with an online credit/debit card or electronic check payment you will click the link below. You DO put the beginning letter that appears in front of the account number (it will be either a L, V, N, or C). This is used to identify the utility company. If you are having difficulty check your web browser security settings, sometimes these have been set at a higher level and dropping it down allows the access to occur.